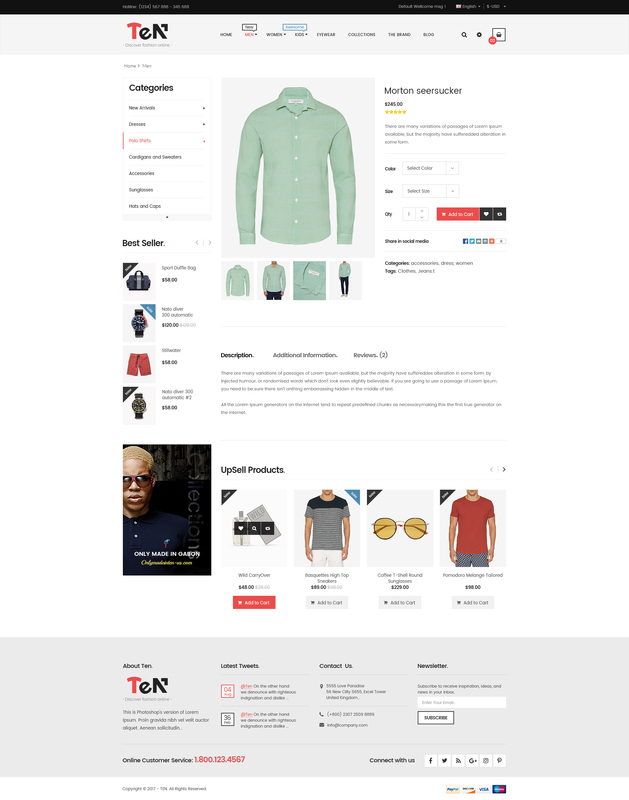 Ves Ten – Magento 2.2 Theme Fashion is a really optimized solution for fashion & apparel store with high quality and fast loading speed. Purchasing the theme does not mean that you will get only the theme. We included several premium extensions to boost your website productivity to the highest. They are Page Builder, Maga Menu, Testimonial, Blog, Shop With Brand. Other outstanding features such as responsive on all device, compatible with all browser ensure the highest speed processing. And your website can easily climb to high rank and popular with customers with the SEO-friendly feature. Now, take a look with all premium features of Ves Ten! Now, take it a try!